If you purchase GreenPower on top of your regular electricity usage – first of all, good on you – but what does paying this premium actually mean and what is it doing for the environment? GreenPower is a voluntary government-accredited program that allows consumers to make a financial contribution towards Australia’s renewable energy industry. You do this by instructing your electricity retailer to purchase green energy on your behalf – at your expense. If that sounds a little vague, read on, because today we’re going to take you through everything you need to know about GreenPower. GreenPower is a government-led initiative whereby retailers agree to offset some or all of customers’ power usage by purchasing electricity through accredited renewable generators. Since all electricity is fed into the same grid, regardless of how it was generated, GreenPower customers do not receive their electricity straight from a renewable generator. 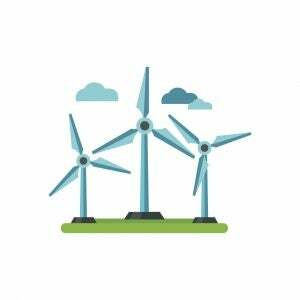 Rather, retailers must match GreenPower customers’ electricity usage with purchases of renewable energy from government-accredited wind, solar, hydro and other renewable generators. That renewable energy is then added to Australia’s electricity grid on your behalf. GreenPower is a little more expensive than standard electricity – generally around 5 to 8 cents more per kWh – depending on the retailer. However, If you’re worried about your power bills blowing out, then you may elect to only have a portion of your electricity bill offset with GreenPower. The money collected through the GreenPower scheme is put toward investment in Australia’s renewable energy sector, making it easy for customers to contribute toward the future of green energy. What does GreenPower cost me? 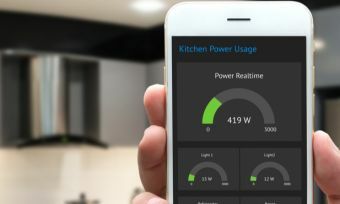 Customers that opt for low levels of GreenPower – say ten or twenty per cent of their usage – often pay a fixed fee of one or two dollars per week. Customers may also pay for GreenPower on a rate per kWh of electricity usage – this is especially common for households that opt for one hundred per cent GreenPower. Again this rate is usually around 5 to 8 cents per kWh. While GreenPower is a really great initiative for the environment, it does add a considerable amount to your power bill. Therefore it is important to understand your budget and thoroughly consider whether or not you can afford GreenPower. To help give you an idea of how much GreenPower may add to your power bill, take the following illustration. A standard household uses 18kWh of electricity every day. Assuming this figure is consistent for one year, the average Aussie household would therefore consume 6,570kWh annually. Let’s take three hypothetical households: One without GreenPower, one that pays $2 per week for 20 per cent GreenPower, and one that pays 5.5c per kWh for 100 per cent GreenPower. The below table represents how much more GreenPower households would pay, assuming an electricity usage base rate of 30c/kWh and ignoring supply charges and discounts for simplicity. Here we see that a household with 20 per cent GreenPower would spend about $100 more on electricity per year compared to households without GreenPower. Customers who want their entire energy bill offset with GreenPower however will find themselves spending upward of $300 more every year for electricity. Check with your retailer to see if they have flexible GreenPower options. Some retailers will give you the option to choose as much or as little GreenPower as you like, so you can contribute when it suits your wallet. Switch to an electricity retailer which does more for the environment. If you can’t afford GreenPower, you can choose a company like Powershop, which has been rated Australia’s ‘greenest energy provider‘ for three years running. Powershop offsets 100 per cent of the carbon emissions associated with its customers’ electricity usage at no extra cost. Use less power. This is good for the environment and your pocket. By using less power, you’re decreasing demand on the grid, which means less electricity needs to be produced from fossil fuel generators. Why should you buy GreenPower? Forget about the cost for a moment. We know spending extra on anything is a bit of a pain, but with GreenPower you are helping to secure Australia’s green energy future. According to the GreenPower site, 90 per cent of Australia’s power is generated by burning fossil fuels. Compare this with our Kiwi cousins New Zealand, whose power comes from 83 per cent renewable sources. Of course, New Zealand and Australia’s energy markets are not directly comparable due to numerous environmental factors, however, Australia could still be doing a bit more in the green energy space. It is important to understand that GreenPower is more of a donation than a service – while you pay more for electricity, you are not receiving any direct benefit yourself. Further, GreenPower customers are not given any information about how the money from their GreenPower purchase is being appropriated. Currently there is little transparency about whether the money is spent on hydro, solar, wind, geothermal or any other project. With that said, as a government initiative, customers should hopefully have confidence that their money is being invested appropriately. Is GreenPower right for you? GreenPower is a small but important initiative to help offset your emissions and support the green energy infrastructure Australia is investing in. At a relatively little cost, you could join in with the millions of Australians investing in the green energy future. On the other hand, while paying an extra one or two dollars a week seems fairly manageable for households wanting to cover only a portion of their energy use. Large households that opt for 100 per cent GreenPower could easily be left out of pocket by a couple hundred dollars every year. There are many community benefits to GreenPower, but you will have to decide if it is the right scheme for you and your household.